Updated: The Apps Status Dashboard now shows a green circle next to Google Mail, indicating "No Issues." Two full orange circles also now occupy the spaces for Mail and Google Drive under today's date, a sign there were service disruptions. There's still no word on what caused the issues, though Google said it will share information if it's available. A number of Google services, including Gmail, are experiencing service disruptions. "We are currently experiencing an issue with some Google services," Google told TechRadar in a statement. "For everyone who is affected, we apologize for any inconvenience you may be experiencing." 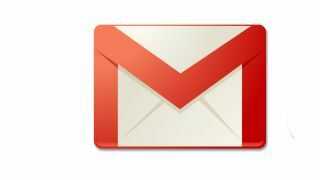 Various reports said Gmail was down for a large number of users Monday morning. The service appeared to work once again for some, though others reported their email was still inaccessible. According to The Verge, the Chrome browser crashed for users when they attempted to access services like Chrome Sync, while Drive, Docs and Google Play also experienced issues. Disabling Chrome Sync reportedly stops Chrome from crashing. The Google Apps Status Dashboard shows an orange circle for Google Mail, with the color indicating service disruption. Under today's date, there's a half orange circle, and it's unclear what that particular shape means. All other services, such as Drive, Documents, Talk and Calendar show a green circle, indicating "No Issues." However, under today's date, Drive is now showing a half orange circle. Under Dashboard's Dec. 6 date, a full orange circle occupies the Google Mail space, indicating service disruption for the email service occurred five days ago. Google said it will post service updates on Dashboard.